Living a reality that I never thought possible and grieving for both a mother and a grandmother as I became a Momless Mom. It’s taken me awhile to write this post and then even longer to finally publish. Partially because I had been attempting (and somewhat failing) to take some time off for maternity leave and then the holidays. Partially because I am tired and have baby brain like most new moms which is making full sentences feel a bit harder than usual, especially for sentences that hold such emotional weight. But mostly because I wasn’t entirely sure what I wanted to say. I had a nagging feeling though, like I do with all of my difficult, more emotional posts, that I needed to share my story for myself – as a way to process – but also for my fellow Momless Moms. I’m not offering anything ground breaking. I certainly don’t have any solutions or wisdom just a few months into becoming a mom without a mom or just a mom in general. I can only offer my story, my friendship, and my love. A connection when maybe you feel alone. I’ve talked in length on the blog and on social media about what kind of year 2016 has been with the loss of my mom. To sum it up in two words – living hell. New Year’s Eve was happily welcomed as I felt such a sense of relief to leave 2016 behind us. Yet surprisingly, I also felt a hard wave of unexpected grief when the clock struck midnight as I felt even more distance from Mom, realizing she would never see 2017. In December of 2015, we received positive news of my mom’s fight with Pancreatic Cancer. Her tumor had shrunk in half. We were winning. Even then, deep down, I knew we wouldn’t win and that pancreatic cancer would take her life. But we were winning at that moment, buying us time. Or so I thought. I thought we had at least a year, which was the feeling we had when my husband and I decided to try for a baby. It was one of the hardest decisions we ever made as a couple. We were still a little while away from our previously planned time to start trying, but Mom’s cancer put a different spin on everything. We were lucky in that it didn’t take us long to get pregnant. We were elated, but that feeling began to diminish when I visited my parents on March 2nd. My mother’s stomach was extended, and because Bryan’s uncle had gone through something similar only a few months before, I had a pretty good idea what it was. The cancer had grown back and more … It didn’t matter that we got pregnant so quickly. It still wasn’t going to be enough time. My dad and I struggled to convince her to go to the hospital. She didn’t want to go. In a quiet moment with her sitting in the kitchen chair and me on the floor at her feet, she whispered that she was scared. Of course she was. Then she quickly composed herself again, realizing the inevitability that she was going to the hospital that night, and said I wasn’t allowed to go to the hospital with her. My birthday was the next day… I turned 30 in the hospital ER sitting along side my parents, joking with her that it only seemed appropriate that the three of us were in the hospital together on my birthday as it’s how I came into the world. She was able to come home two days later, and my parents, Bryan and I had a very subdued birthday celebration at their home. I could see both the extreme joy and extreme fear in my mother’s eyes when we told her she was expecting her 6th grandchild. She said, “My baby’s having a baby” and called me “Little Mama.” I curled up on the couch with her that night; something I hadn’t done with her since she had been sick and in pain. Two weeks later I sat on that same couch, knowing I could never curl up with her again. That I would never hear her call me her baby or Little Mama again. That she would never meet my children. And I was crushed. Never once in my life had I ever imagined that we would lose her so young. Her father is still alive into his 90s and her mother held on far longer than she herself wanted to. Never once did I ever think I would have children that never met her. The proceeding days and weeks were filled with tasks. Making phone calls and visits to neighbors to tell them of her passing. Planning the funeral. Taking care of the business side of a death – banks, account names, emails, etc. Helping family grieve and processing together. Then doctor visits, apartment searching, and preparing for our move. 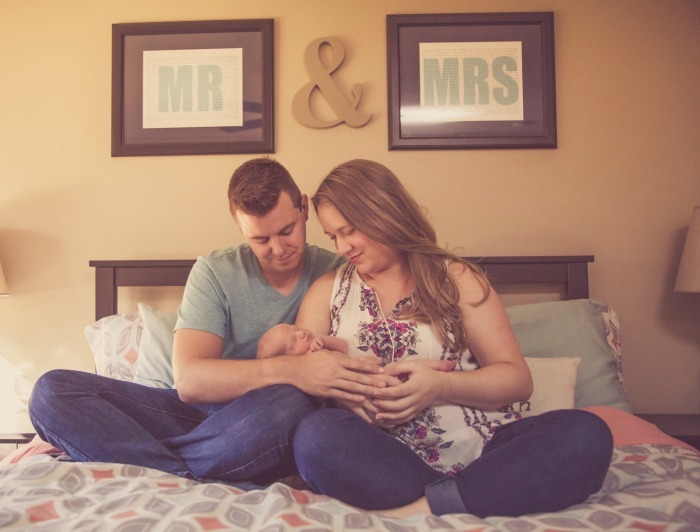 The weeks turned into months that were filled with even more tasks – settling into our new apartment, decorating the nursery, and at least twice weekly doctor visits for gestational diabetes. My time and my grief were preoccupied with tasks. They kept me moving forward. 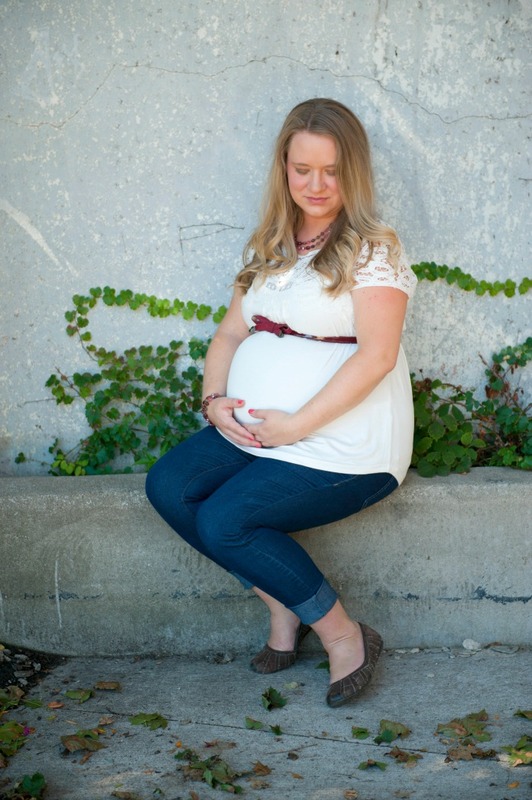 Liam kept me moving forward because I wanted to experience the joy of this pregnancy. We had waited so long for the right time to have a baby, and while this wasn’t what we would have considered the “right time” anymore, we had still waited and wished and wanted. And I knew the risks from my doctors of sinking into depression between my hormones and my grief. And now … Now Liam is 3 months old. I stare at his big blue eyes, his white blonde hair, his rounded chin, his adorable lips, his long monkey toes and his sweet little fingers as they hold mine and I can’t help thinking how much Mom would have loved him. Now I’ve endured 5 nights in a row of no sleep, trying to figure out why my son suddenly won’t sleep on his back without crying out in pain (he has reflux). Now I’ve struggled to get him to go back to sleep even though I know he’s still tired. Now I’m sick for the first time as a mom and exhausted because he’s decided it’s a good time to sleep regress or have a growth spurt or something, keeping me up all night. Now I’ve sat for hours googling questions. Now I’ve experienced the weight of endless questions and doubts, and I can’t help but want to call Mommy. To hear her experience. To hear her support and reassuring. Now I think of all the moments she got to experience with my nieces and nephew – baking cookies, napping on the couch together, watching old movies, teaching them to walk, to read, to swim, unwrapping her Mary Poppins gift bags, or going to Disney World, and I can’t help feeling a sharp pang of loss for Liam that deepens with every new moment missed. For all the experiences and love he will not have because she is gone. For all the moments I will not get to experience because she is gone. Becoming a Mom without a Mom is sort of like learning to play a game without your coach on the sideline. Yes, I have years of lessons and examples from being her daughter. Yes, I have similar traits and expressions. Yes, I have my sister to thankfully turn to and ask questions of. But I don’t have her. I don’t remember everything she ever told me. I wish I had thought to write it all down for the horrible inevitability of losing her, but I didn’t. I wish for so many things. Being a Momless Mom is having part of you missing. So why share all this? It’s sad, morose, defeatism and grief. But does it serve a purpose? I love this quote from Carrie Fisher. So often we hide the darker, complicated emotions and we inevitably find ourselves isolated. So if you are also a Momless Mom or are sadly about to become one, I don’t want you to feel alone. You will probably look around and see your friends sharing pictures of their mom’s holding their children or hear them talking about how their mom came over to babysit or a myriad of other similar situations that will leave you feeling jealous or lonesome or overwhelmed. You might even be the only one of your close friends who have lost a mom or a parent. It doesn’t mean you are alone. You can comment here, you can email me, you can message me on The Love Nerds FB page. You are not alone. And if you know a Mom without a Mom, a couple random tips. Don’t assume you what they are feeling at any given moment. Some days I feel perfectly fine, some days I am just really good at acting to be perfectly fine, and some days I just can’t. Many people have told me that they thought I was handling my grief really well and must be “through it” or “over it” (direct quotes). This is not something that will ever be done. If you want to help, be a part of her support system. Be active. Be engaged. Be there. And that doesn’t have to mean physically. A text checking in, a gift card for dinner, a funny meme, and a many other random acts of kindness can help her feel less alone. Be gracious and forgiving – of her frustrations, of her less than shining moments, of her jealousy. Most importantly, just be loving. Maggie, it takes strength to share the grief, as private as this. Yes, the loss can exist in so many ways and death is a terrible form of loss. I am a MomLess Mom and been blogging for over 5 years under that name. I do have my good days and bad- my blog is my oasis where I turn to when the ‘bad’ becomes unbearable certain days. No, I didn’t lose my Mom to death, she is still alive. Which makes it harder as I mourn her absence in my life daily. I hope you find your peace and happiness in your little one. Stay strong. Today is the 2 year anniversary of my mom’s death due to breast cancer. I am sitting here watching my almost 3 month old sleep and googled being a mom without a mom trying to find some understanding and found your story. Thank you for sharing. I am so sorry for your loss, Diana, but glad you found this post. I did the same as you. So much googling to find there wasn’t as much discussion about it as I hoped. I was the first of my friends to lose a parent and it felt very isolating. I know I can’t do anything tangible but feel free to reach out to me via email if you ever need to talk. All my love to you and your little one! Thank you for sharing your journey. I am also a mom without a mom. I lost my mom to breast cancer in 2010. My sister was pregnant with grandbaby #1 when my mom passed away. Similar to your story. She missed my wedding (even meeting my husband) and the birth of my daughter a year ago. You’re right. Our stories are all so different but it helps to know you’re not alone. I have so many other mothers in my life but lately I just want her. I’m sorry you are going through this. Thank you for your story. Strangely,I can so relate to those feelings you describe.I have a “mother”,that is alive.But I was without a mother thru all of my 4 girls entire lives,as I still am.She is a very sad and lonely woman I suspect.As she was and is extremely abusive and has no remorse for her behavior,I simply have closed that door again.Each time I open it,the result is another scar.God bless you and your lovely family,Mom is watching all and there in spirit.She is always there for you as she was in life. ?BIG HUGS!! Loss can exist in many different forms, but the feelings are so often the same. While it is hard to close the door on someone who is bringing harm to your life, especially when it’s a family member, you and your children definitely deserve better. Your daughters are lucky to have a mom who loves them the way you do! Love! Thanks for sharing, Maggie. Thinking of you three. Beautifully written Maggie. A wonderful testimony to the love you have for your mother. Although my mother is still living, I also experienced this type of loss when I was 2 months pregnant and my grandmother (who was more like a mother to me and totally obsessed with babies) died shortly after I told her I was pregnant. I look at Ava sometimes and start to cry because I know how much my grandma would have loved her, doted on her, and made her feel like she is the only person in the world that matters—much like she did with me. But, through me, my grandmother’s memory lives on. I rub Ava’s ears lovingly just like grandma did to me. I play grandma’s music box and sing her lullabies. I share my clip on earrings, taught her to sew–well sort of, and share pictures of her. I have a feeling, Liam will also know his grandma through you. Much love Maggie. I think of the little things often and hold on to them closely – the little gestures or phrases I use with Liam that my mom used with me. Sometimes they bring me immense joy and then there are other times I will feel a tear rolling down my cheek. Oh how loss sneaks up on all of us at times. I love you, Tiffany! Ava is so lucky to have such a loving and kind mother. Truly! This post came right on time! I lost my mom December 20, 2016 and buried her New Year’s Eve. It was the hardest thing I’ve ever had to endure. My husband and I are trying for a baby and it’s very painful that she won’t me our future baby. My husbands mom died when he was 8 so our kids will never know a grandmothers love. I miss her every day and just knowing they can’t meet the wonderful mom she was to me brings so much pain but your article was so encouraging. Thank you for sharing that’s it’s ok to hurt but to remember what our mothers instilled in us. I am sorry beyond words for your loss. I remember shortly after Mom passed I spent a lot of time on Google trying to find other women like me. Women who were dealing with the loss of a mother on the brink of motherhood themselves and unfortunately found little. Almost none of my friends could relate and my sister was dealing with a very profound but different grief as her daughters are older and had a deep connection to their grandmother. I knew then I wanted to write about this process. You have many hard days ahead of you. Be patient and kind to yourself and never hesitate to reach out to me here, via email or through FB if you need someone to talk to. I can understand your feeling alone and finding no one that could relate. Trying to navigate through life’s difficulty on your own without the assistance of others can be very daunting and overwhelming. The good in this is you’ve talked about your life in such detail that the next person that has to go through something similar can find this blog post and find comfort and hopefully a community of Momless Mom’s can begin. I feel like anything I could possibly say is inadequate really. But what I want to say is this: it takes strength to share painful and tender parts of your own life in order to lessen the pain of others. If even one less mama feels alone because of what you have written, it is an incredible blessing. 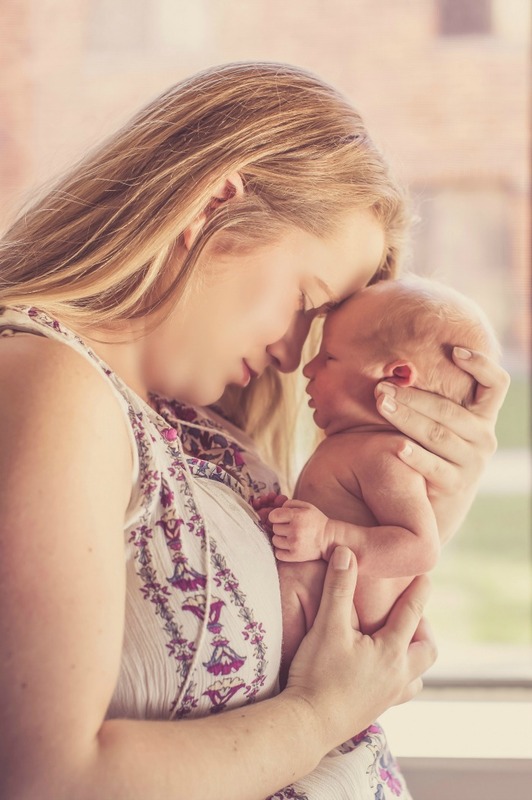 Motherhood is beautiful in so many ways, but it is also profoundly difficult in others that are just impossible to understand until your little one is here. Always remember to be gentle to yourself on the hard days. P.s. Ours was a very difficult sleeper as well so I am with you in solidarity on that one. It’s even harder when everyone else’s littles are sleeping better than yours. Hoping for you he sleeps soon. Thank you, Kat. More than anything I want to give someone a sense of community when they feel like their support system is gone. Motherhood can be very lonesome and isolating to begin with and it has felt even more so without Mom to turn to. When Mom passed, I spent a lot of time trying to find that, to find other women who were experiencing similar things, but it was hard. I think there might be even more I can do, but I’m not quite sure yet what that will look alike.